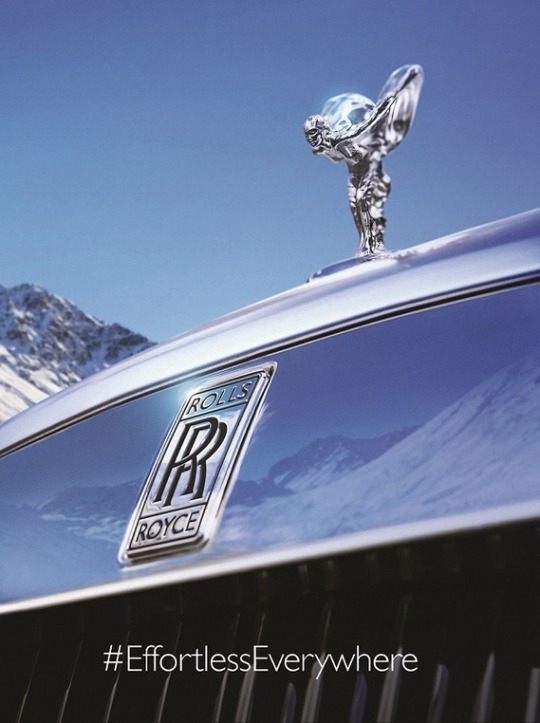 A company like Rolls-Royce Motor Cars (RRMC) kicking off a promotional bandwagon? With a hashtag? It’s true, and we’re guessing that means the 111 year-old business is about to execute the biggest push in the formidable history of their company. Widely acknowledged to be one of the most revered and prestigious carmakers in the world, automotive enthusiasts have already began taking note of the teaser campaigns online. The hints of a RRMC SUV began a few months ago with a release of cryptic teaser images via various public relations channels. More images soon followed, but this time they were watermarked with the hashtag #EffortlessEverywhere. And now? They’ve issued an open letter signed by RRMC’s two head honchos, Chairman Peter Schwarzenbauer and Chief Executive Torsten Mueller-Oetvoes. Titled “An Open Letter from the Chairman and the Chief Executive of Rolls-Royce Motor Cars on the subject of new Rolls-Royce,” the release went live on February 18th. Briefly touching on RRMC’s past achievements, the letter eloquently asserts that “this new Rolls-Royce will be Effortless … Everywhere,” adding that customers, motor vehicle enthusiasts and media alike will be kept apprised of the brand’s progress with the upcoming launch. Schwarzenbauer and Mueller-Oetvoes end the communique by assuring readers that they are in the process of “creating a motor car in the greatest traditions of our marque,” referencing a quote by RRMC founder Sir Henry Royce: “When it does not exist, design it”.